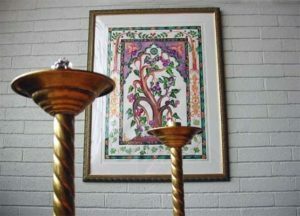 Please join us for Shabbat services this Friday! We also hope you will consider a year-end donation to TEMV. Friday, December 22, 7:30 p.m.
Oneg host: Looking for a volunteer — please contact Zach at oneg@temv.org. Otherwise it will be potluck oneg. Rabbi Sparr is available for office hours on Tuesday and Friday this week by appointment. She can always be reached at rabbi@temv.org, or during business hours at 508-736-5555. In an emergency or urgent need, do phone at any hour. Tuesday, December 19, 7:00 p.m.
During this season of giving, we ask that you remember to make your monthly membership pledges by December 31–and also consider an extra donation to TEMV as you reflect on what we hope TEMV has given you, with services that are meaningful, a rabbi who is approachable, knowledgeable, and musical, a long history of working for social justice, and an inclusive spirit that we put into action for our diversity of congregants. Thank you for giving from your heart. Make your membership pledge or donate online here or send a check to Treasurer, Temple Emanuel of the Merrimack Valley, 101 W. Forest St., Lowell, MA 01851. Donations must be postmarked or made online by December 31 to count for the 2017 tax year. 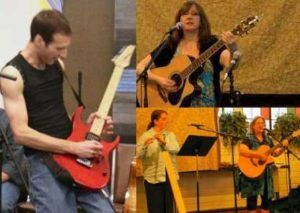 Rabbi Sparr is interested in pulling together a band for occasional services. If you play any instrument well and can either read music or have strong ear-training skills, or you are a strong singer (able to hold a lead or harmony line on your own), please reach out before the end of the month. First opportunity to play would be January 26 at services (rehearsal likely on January 14), as well as at future Shabbat services and other events. Congratulations to Robin Frisch, who was approved by the Board to serve as our vice president!